Using the e-cig in Australia has become quite the norm despite the fact there are bans trying to be placed against them. In order to keep the e-cig working, there are some parts that will take some special attention or may need to be replaced every so often. In order to take care of the e-cigarette, the user will need to have at least a basic level of knowledge of the essential hardware and supplies that are needed to use this device. There are two types of batteries that may be used. These are the automatic and manual batteries. The automatic battery requires that it be unscrewed from the cartomizer, but only slightly, each time after the device has been used. If this is left connected completely, then the user runs the risk of draining the battery life. This is a method of keeping the battery for a longer period but is highly recommended for every use if the e-cig uses an automatic battery. There is also the manual battery. When using this battery, the smoker should be careful not to press the battery button too strongly. This may cause the button to jam or even worse fall into the battery. This is an option for those individuals that are much heavier smokers. This is an alternative to the rechargeable version. These are becoming increasing popular due to the number of options and the bigger battery. 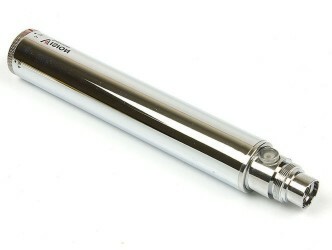 This may be considered as the most popular of all the e-cigs that are offered. By using a standard 510 threading for the battery, this allows for the flexibility of using any tank or cartridge to be used that has a 510 threading. The larger tanks have the capacity and capability to hold more liquid nicotine than the rechargeable e-cigarette. They are able to satisfy almost any smoker due to this feature along with the bigger battery without being refilled and recharged. One of the most valuable acquirements for the new e-cig user is a starter kit. This may be done the cheaper route or the user may go all out if that is the preference. The standard starter kits include the 510-T kit. This kit includes a wall adopter, two atomizers, a USB charger, two batteries, 10mls of e-liquid and seven tanks. There is also the deluxe kit which offers a carrying case which helps the user to organize their equipment. There is also an additional 20mls of e-liquid. After the e-cig is bought, then the next step is to decide what the best liquid is for the user. This is a very simple task and can be done at an affordable refill rate. There are varieties of liquids that have different tastes and flavors available as well as nicotine strengths. There are many vendors that this liquid may be ordered from. The best liquid is always recommended as this is still affordable when compared to smoking cigarettes. A liquid is dependent on the user’s tastes and preferences and may be changed.